The Organic Beauty Week Campaign for 2016 is #lookforthelogo. A long time ago I wrote a piece titled "How to make sure you are buying truly organic skincare". It could do with updating but the general principals remain the same, in order to guarantee a beauty product is truly organic you need to look for a certification logo such as the Soil Association. 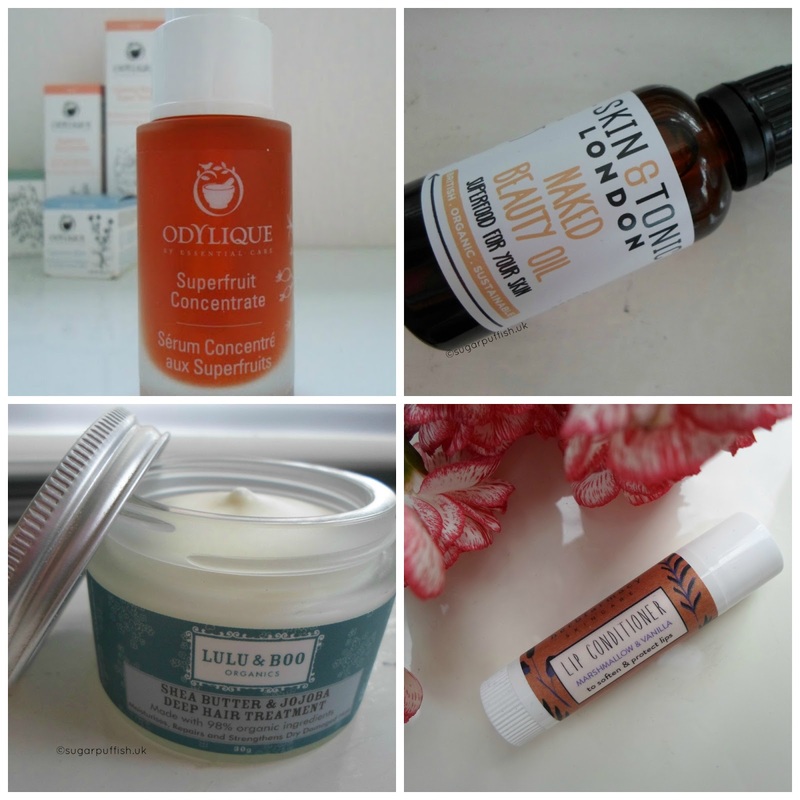 I thought I would share with you some of the organic brands which I enjoy using and talk you through my favourite products. Odylique - if you are regular reader you will know that I rave non-stop about Odylique Gentle Herb Shampoo, honestly it changed my life the day I discovered it. No more itchy scalp for me, I can't be without it and purchase the 500ml bottle in bulk. I also love the Creamy Coconut Cleanser, my struggles with linalool have been well documented and this cleanser is a repeat purchase for me. I also think Superfruit Concentrate is one of the best facial serums your money can buy and if you struggle with eczema then I recommend the Repair Lotion. Skin & Tonic - the Naked Beauty Oil is up there with Odylique when it comes to unscented facial oils. It's a beautiful product which I highly recommend. I haven't tried much else from the range because of my allergies but I know many of my blogger friends rave about their products so I'm confident there is something for everyone. Terre Verdi - I've had the pleasure of knowing this brand through the Free From Skincare Awards and more recently they attended our Gorgeously Green Event. The brand has come a long way since my review last year. Elegant and stylish bottle full of gorgeous ingredients what more do you need. Herbfarmacy - you'll often hear people mention their balms, Mallow Beauty Balm appears to be a cult favourite amongst bloggers and I have enjoyed using it over the years. I recently took on my holidays the Marshmallow & Vanilla Lip Conditioner and I know some many think "what's so special about a lip balm" but seriously it's a wonderful buttery blend of ingredients. Botanicals - an award winning vegan brand that I've had the pleasure of knowing for quite some time. I highly recommend the Rose & Camellia Nourish Cleanse Melt is you love using cleansing balms. I also enjoy using their Raw & Pure range of Cold Pressed Oils perfect for those who like to keep things simple or have fragrance allergies. Balm Balm - simple packaging and ingredients makes this brand awesome. I've been a fan for years and often recommend Super Light Coconut Cleanser if you have sensitive skin. Also an affordable range for organic certified products. Lulu & Boo Organics - dig around in the archives and you'll find a review for the Chamomile Cleansing Balm and Shea Butter & Jojoba Hair Treatment. I've know this brand for a long time and I recommend them. Do you have a favourite certified organic brand or product? I love Odylique's Superfruit Concentrate but haven't tried the Naked Beauty Oil from Skin & Tonic yet. Something for the future! I am currently addicted to facial oils and going from one brand to another as I just want to try them all! Botanicals Radiance Serum is also great. Lovely brands featured here, a few faves of mine too!